Cute little girl sitting in car seat. 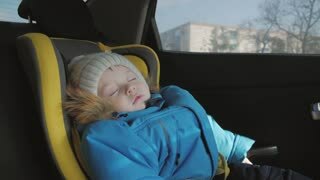 Toddler boy sleeping in child safety seat in car. Happy cute little boy using smartphone entertainment app in car child safety seat, looking out the window on sunny day.